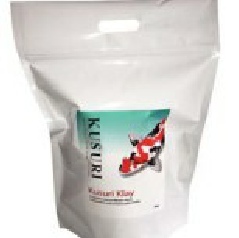 Kusuri Klay is a unique, high purity, Calcium Montmorillonite clay which remineralises water, improves water clarity, Koi colour and lustre, aids health, stimulates appetite. 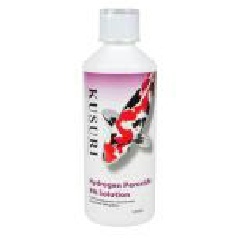 Kusuri 8-Piece Topical Treatment Kit for Koi. A complete easy to use kit, for the beginner or experienced fish keeper. For treating Ulcers, wounds and Fin Rot. 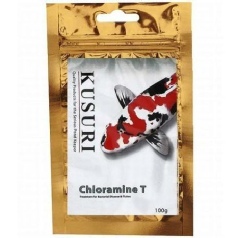 Kusuri Chloramine T can be used for the treatment against Gill Flukes, Body Flukes, White Spot, Costia and Bacterial Gill Disease, as well as the reduction of pathogenic bacterial levels. 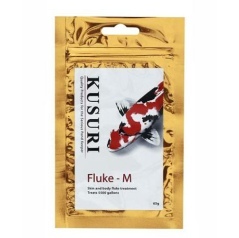 Kusuri Fluke-M is a 50mg/g Flubendazole based medication to eradicate Gill and Body Flukes. 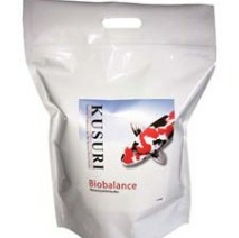 Kusuri Biobalance raises carbonate alkalinity, raises KH and stabilises pH swings. 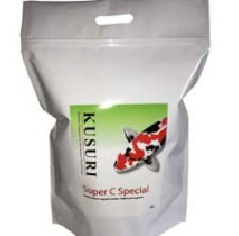 Kusuri Super C Special increases hygiene and breaks down organic waste accumulation in filter and pond systems. 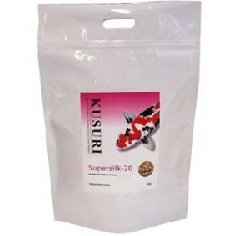 Kusuri Supersilk-20 is a very special recipe including 20% Silkworm Pupae. Available in1kG - Medium pellet: 4-6mm.